When thinking about European food destinations the Netherlands may not come to mind as fast as its neighbours France and Italy. Don’t be mistaken however, when it comes to food the Dutch cuisine has a few secrets tucked away. Think crispy, fried and comforting snacks, hearty, warming mains and a bit of fish of course…. Venice is nothing short of magical. There’s no doubt about it. 118 islands, 400 bridges and 170 canals. However, the fact is that such unique beauty attracts swarms of tourists all bustling their way between St Mark’s Square and the Rialto, vying for that perfect canal selfie and best value glass-blown souvenir. It’s thirsty work…. Amsterdam may be known as the ‘Venice of the North,’ but it’s safe to say that the Dutch capital lags behind Italy in the culinary department. If you’ve tasted the stodgy reheated pizza slices sold around Amsterdam’s top tourist spots (Looking at you New York Pizza), you’ll know you’re a long way from the Mediterranean…. The choice of nice trendy restaurants in Amsterdam is virtually unlimited. There’s room for a different dining experience with good food and friendly service every night of the week. 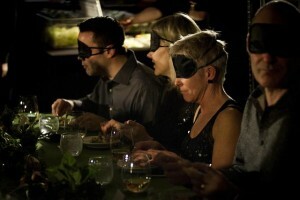 But how about those ehum- extra special and unusual dining experiences in Amsterdam? Around three years ago it was difficult to find a nice coffee place (not to be confused with a coffee shop) for a flavorful authentic cup of coffee in Amsterdam. Today the number of choices are simply stated: overwhelming.